Congratulations to Jamie Johnson (Glencairn Primary) & Holly McNamara (Mayfield Primary) who both finished runners up at the Scottish Primary School Championships today. Jamie losing to Yifie Fang of Aberdeen & Holly losing out to Holly Stevens of Edinburgh in the final. 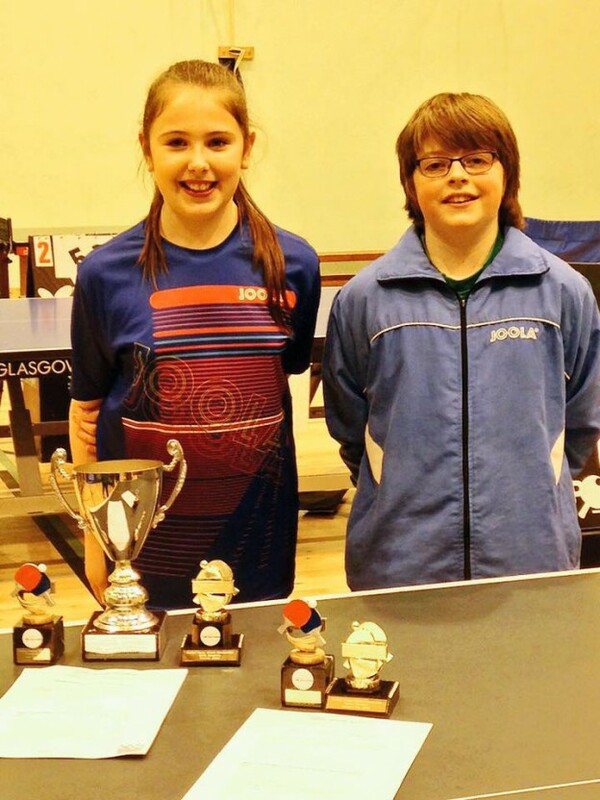 They will now represent Scotland at British PS Championships in Guernsey in April. A big well done must also go to Chad Duncan (St Anthony’s Primary) & Patric Hollywood (Caledonia Primary) with Chad reaching the QF’s of the boys singles & Patric losing out to no3 seed Rayyan Khalid In last 16.